It only requires three ingredients and 15 minutes to make these delicious easy caramelized pepitas! Being smack dab in the middle of fall, I wanted to embrace pepitas. 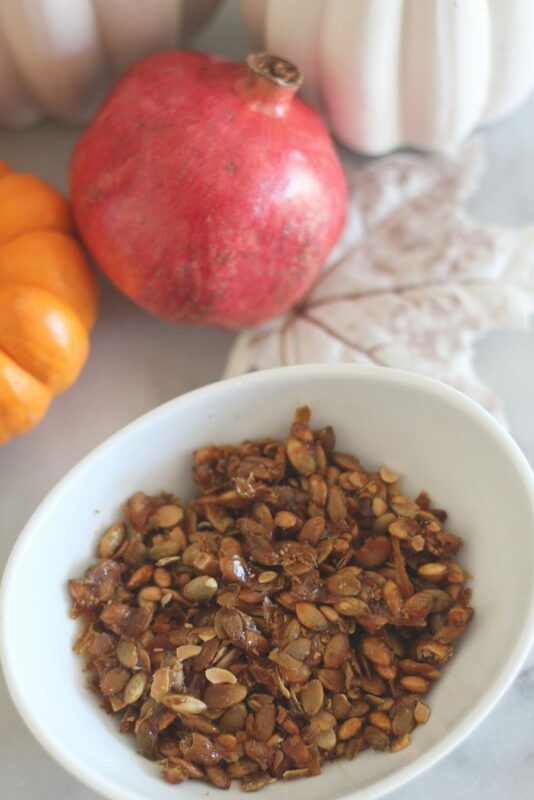 Pepitas are shelled pumpkin seeds, if you didn’t know. I love them and they are great to throw on salads or just snack on. Today I wanted some that were a little sweet, so I decided to caramelize them. It’s so simple and was done in minutes. I get my pepitas in the bulk section at Sprouts. They are unroasted and unsalted, but they seem to have all kinds of options. My only warning is keep an eye on your melting sugar, because it can burn very quickly. 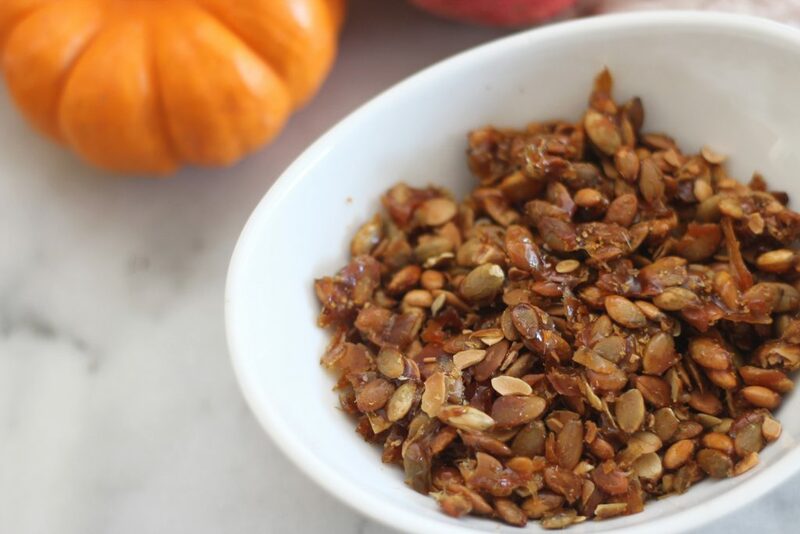 All in all these Easy Caramelized Pepitas will be ready to eat in less than 15 minutes. 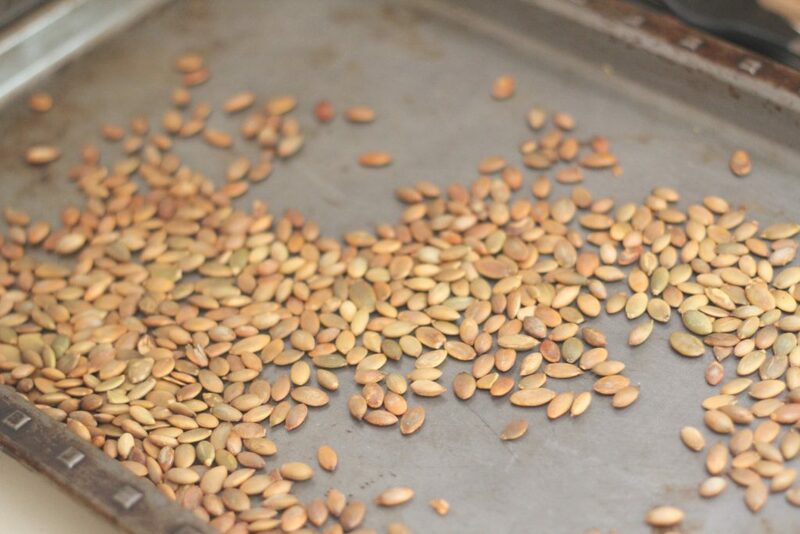 Place pepitas on a baking sheet and toast for about 5 minutes, keeping an eye on them so they don't burn. 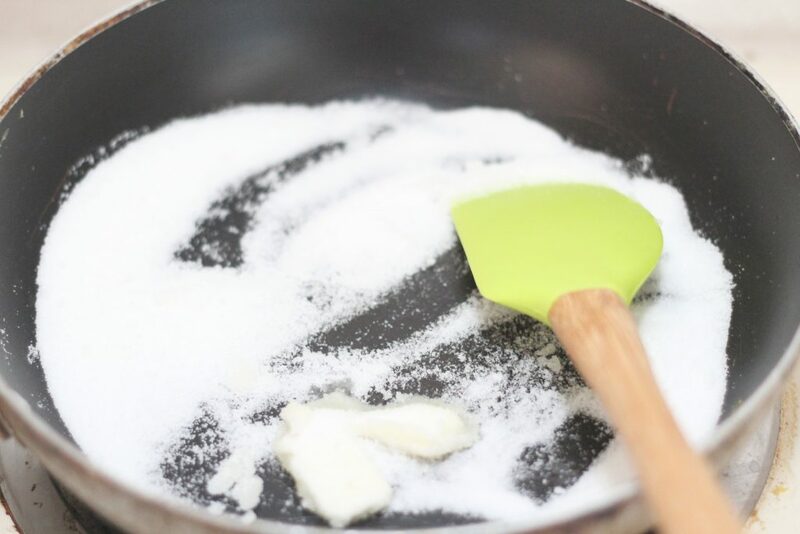 In a pan, put butter and sugar on medium low heat, stirring frequently. 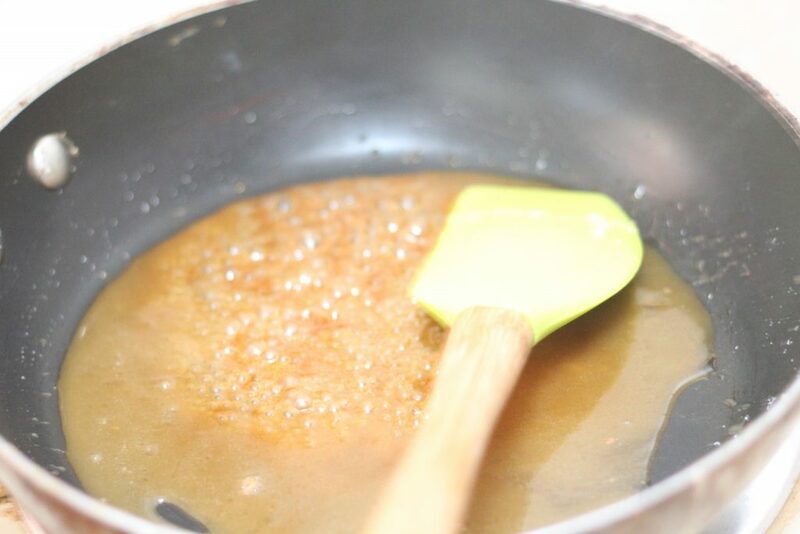 As the sugar melts, it will start to turn brown and bubble a little. Remove from heat. 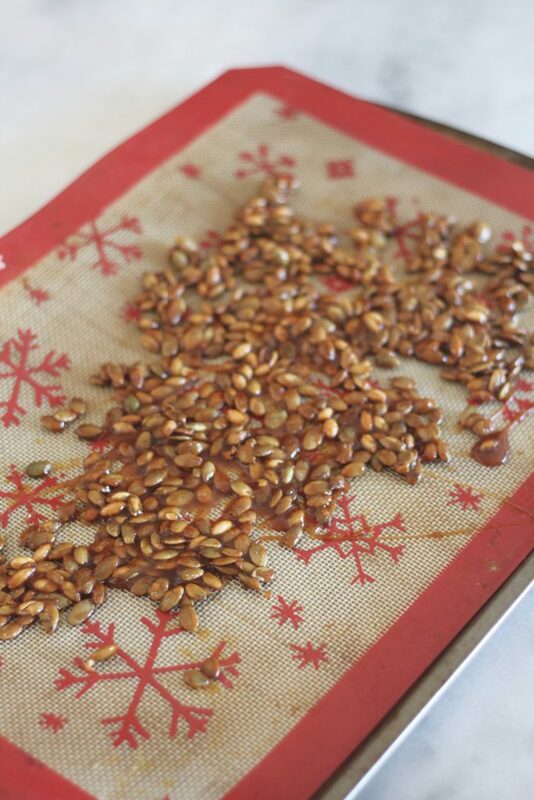 Mix in toasted pepitas and then pour out on to a parchment or silicone mat lined baking sheet.